The mild climate favoured the growing of some Mediterranean plants (among which the olive tree), and it contributed to render the Lake Garda an important international touristic destination. The gentl .. The area of Garda lake keeps nowadays the traces left by the Glaciations, that were thought the determining cause of the formation of the lake depression; in more recent years it has been hypothesized ..
Gaio Valerio Catullo, bo .. 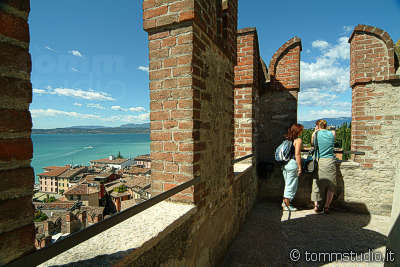 The history of the Lake Garda begins with the first populations that inhabited Italy; in the area of the lake, in fact, there are primitive caverns and rests of stilt houses, as for example under the ..